This book was written in 1887 at a critical time for both the debate on Irish Home Rule and for Gladstone himself. It influence on events proved to be great, though as with all efforts to solve the "Irish Question" in the 19th century it was ultimately doomed to failure. For decades Gladstone had enjoyed a continual rise through the ranks of the Liberal Party that had ensured him respect, popularity and high political office. Even his opponents had recognised his talents and dedication to the cause that he believed to be right. He had been Prime Minister of Britain from 1868 to 1874 and was again elected Premier in 1880, and again in 1886. He had then lost power in a spectacularly bitter contest in the House of Commons that centred on Irish Home Rule. Gladstone went into opposition with bad grace. After years of being lionised by supporters and respected by opponents, Gladstone found himself despised and reviled by substantial sections of the nation. Even his own party had largely turned against him, with many MPs setting up a separate party of Liberal Unionists who were opposed to Home Rule. It was in this febrile and depressing atmosphere that Gladstone contributed his thoughts to this book on Home Rule. It was to prove to be the defining work putting forward the case for Irish Home Rule to the British public. 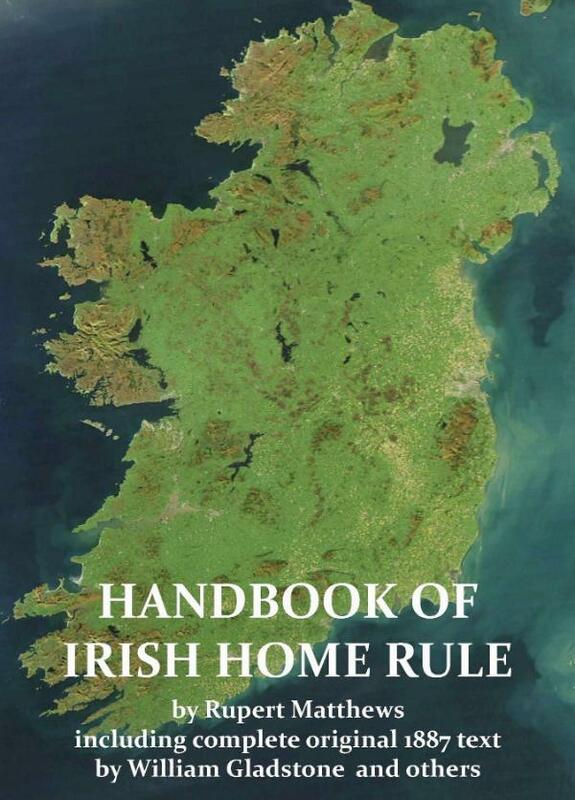 The book argued strongly that Home Rule would solve most, if not all of Irelands problems - but went further to portray Home Rule as morally correct as well as politically wise. The book went a long way to defusing the hostility to Home Rule that had sprung from ignorance of the facts in Ireland. Although it did not end opposition entirely much of the venom and emotion was taken out of the debate. As well as the key note section by Gladstone, the book includes sections by other eminent scholars and politicians including Earl Spencer, Canon MacColl, E. Godkin, James Bryce, Barry O’Brien and John Morley. This edition has an introduction by historian Rupert Matthews that puts this classic work into its historical and politcal context.